1. 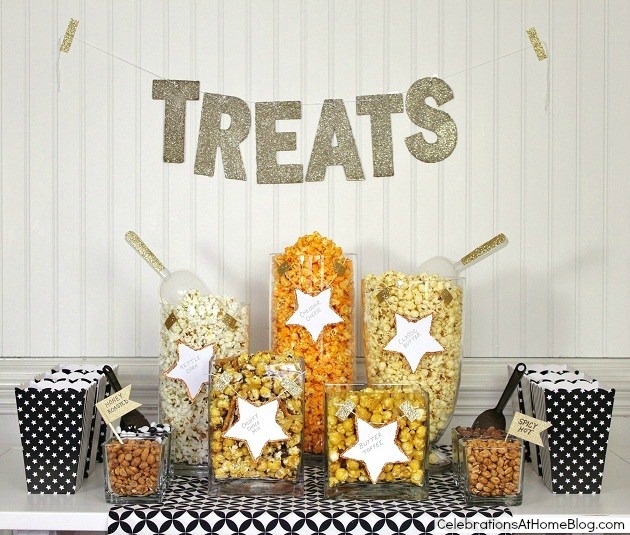 Popcorn Bar - this is a great idea although I would do it in the summer for an outdoor party as popcorn tends to make a mess. 2.Backyard Movie Drive-In - Speaking of outdoors, how awesome is this outdoor night at the movies? LOVE it!!!!! 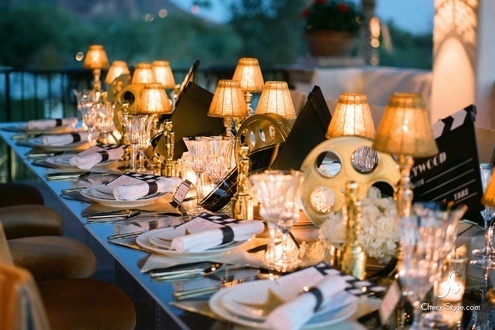 3.Gold Party Theme - Gold looks amazing for a special party. I love the beaded lamp shades! 4. 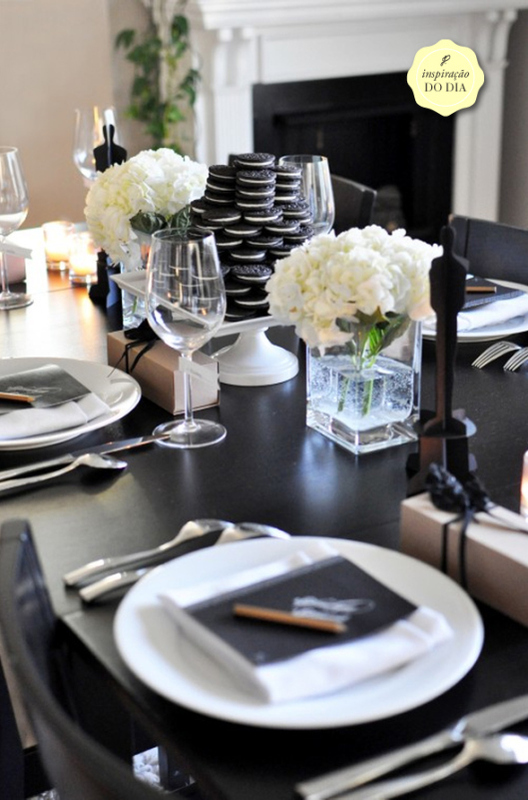 Black and White Party Theme - And I love the clean look of this black and white Oscar Party. Could be great for a New Year's Eve Celebration. And who doesn't like Oreos?